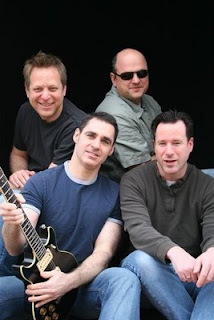 Doghouse is a rock/blues/funk band based in Montclair, NJ. They play original material as well as delivering their own unique take on a wide variety of covers. The band was formed in 2005 by guitarist Ross Yustein, drummer Dave Weil and bassist Neal Wilson. Tony Conklin joined as lead singer in 2008 and background singer Laura Heyman just joined in 2009 to round out the sound. Visit their myspace page.